The Network is delighted to share news of the establishment of H2O Adventures in Swanage, and to be working with its lead, Steven Malone. 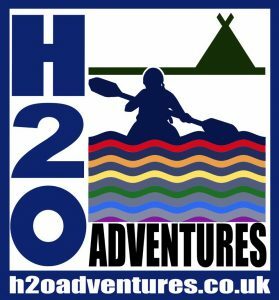 H2O Adventures are developing an exciting range of outdoor, camping and exploring Purbeck, Jurassic Coast and neighbouring areas dedicated LGBT group activities to share the stunning local environment in a friendly environment. The Network commends this and believes it will help Purbeck in particular develop more of an LGBT profile and provide for many community members that love the outdoors, valuable opportunities for social and outdoor activity. You can read more about H2O on their website, and we also provide an information sheet with details of the LGBT orientated 2-day courses. H2O Adventures weekend adventure camps bring all the elements of adventure together, and of course camaraderie, especially with their LGBT two-day courses in Purbeck that are starting this month. Camping, Bushcraft skills, Walking and navigation training, Kayaking and canoeing trips/weekends away and Rockclimbing sessions – all in the fantastic Purbeck & Jurassic Coast location. I have a camp pre-booked event in Swanage on September the 21st-23rd for a gay men group and looking to make it a bigger event by offering places to other groups they are guys aged 20-40. The cost of the event is £125pp and here is the weekend’s practical details Overview Plan.